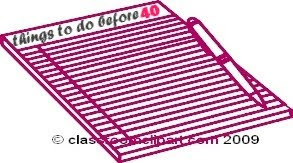 40 Things to Do Before 40. I should have made this 100 things. Its an endless list. Please share your own list to achieve before a certain milestone.